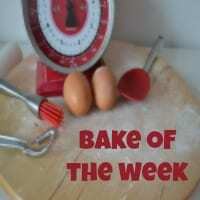 Its been a while since we had a decorated cake as our #BakeoftheWeek but I just loved this one and wanted to share. I don’t say yes to many cakes any more, I’m just not around most weekends to be able to deliver them but sometimes I can’t help myself. This cake was so much fun to make. Nicole’s family had given me free reign to a theme for her 18th birthday. All I knew was, Nicole loves New York. The cake also had to be able to travel over 200 miles to Reading so I couldn’t put anything too delicate on it. That pretty much ruled out a model of Nicole sitting on top too. I will admit that my knowledge of New York is pretty scant. If anyone wants to pay for me to go, I promise to do my research well! Even I know about it being known as the Big Apple though so that had to go on there. The apple on top is made of marzipan, with edible dusts to try to make it more realistic (Not a bruise as Violet keeps saying). The most delicate part of the whole cake was the leaf in the apple made from flower paste on floristry wire and a wooden skewer made to look like a stalk (I warned Nicole’s family that these parts were not edible). 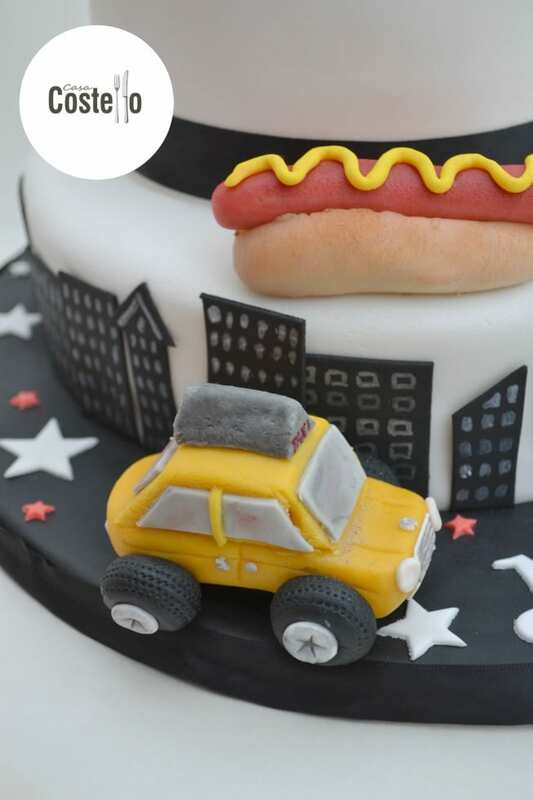 The little yellow New York Cab was the hardest to do – Again made from marzipan and sugarpaste. It was never going to be perfect made free hand but I thought it was better to have on there, than not. The hot dog is there just because it made me chuckle. I will never get over the irony of making food look like food from marzipan/icing. One of the most enjoyable parts of the cake was painting every individual window and floor on the New York ‘buildings’ around the bottom of the cake. I would never describe myself as particularly patient but could sit for hours and do something like this. It helped that I was watching the One Love Manchester concert at the same time which kept me occupied. 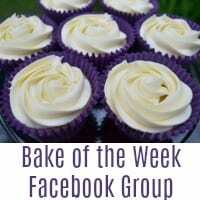 Last week’s #BakeoftheWeek had a real variety of entries – I love how different some weeks can be. Many Thanks to Jenny as usual for co-hosting. 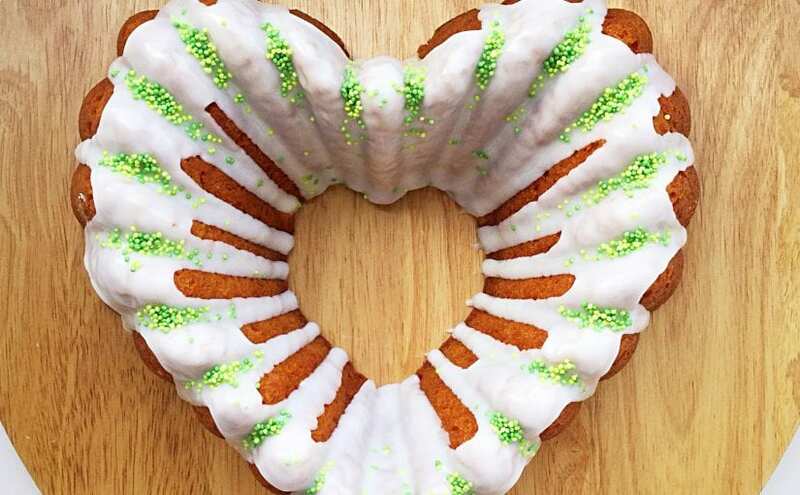 My featured #BakeoftheWeek comes from Feasting is Fun with this showstopper of a bake – A Lemon & Lime Gin Bundt Cake. Surely one of the most summery bakes ever and just look at that decoration! 3. Totally indulgent but so gorgeous, Jo’s Kitchen Larder shares her Chocolate Brioche Pudding with Raspberries. 4. Incredibly pretty Reese’s Peanut Butter Cupcakes from The Baking Explorer. 5. Perfect for any summery picnics are Mummy Mishaps’ Sausage Pizza PinWheels. 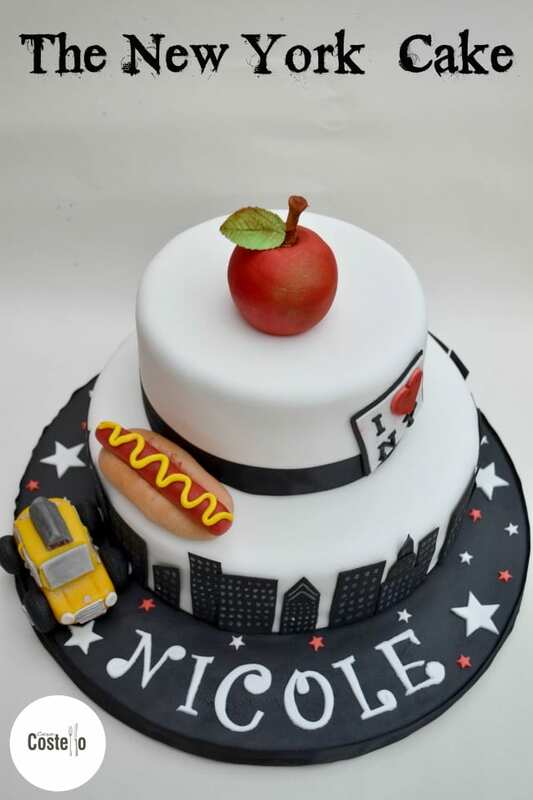 Loving your New York cake! 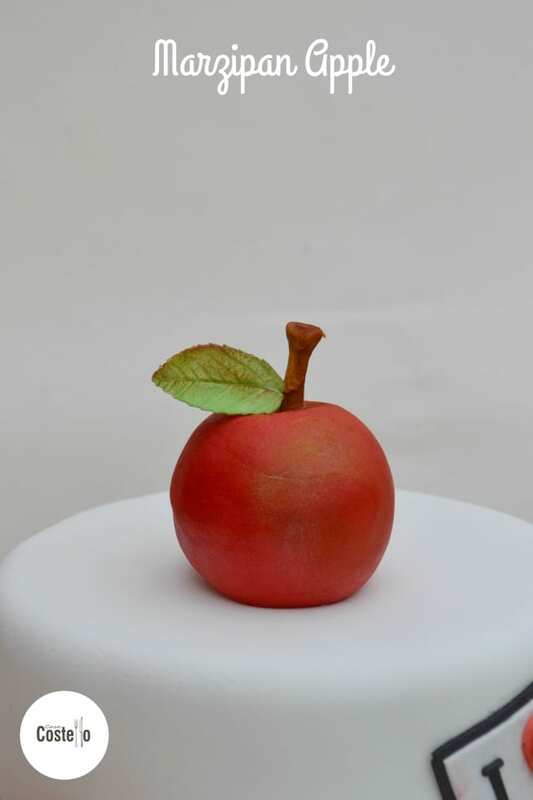 It’s been many years since I made marzipan fruits but I can assure you my attempts were no where near as realistic as your fantastic big apple. Oh you are too kind – I had forgotten how much fun it is to make marzipan fruits! 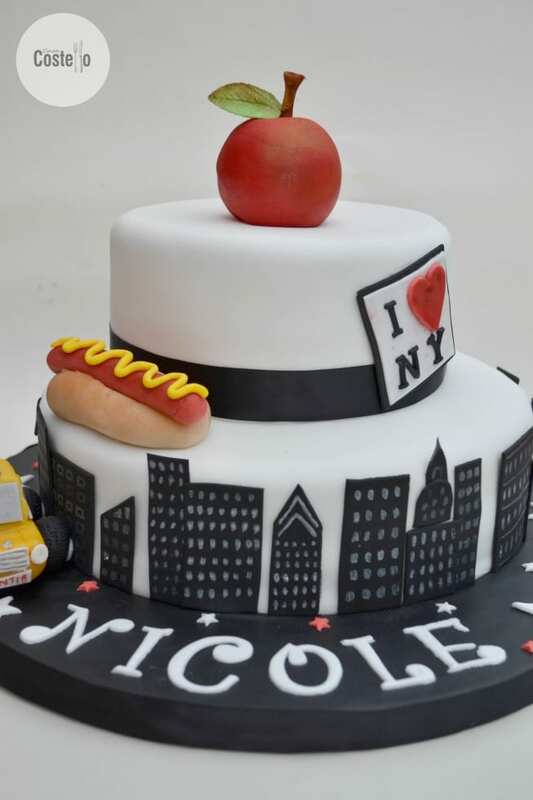 Loving your New York cake – mouth watering at just the look of it! That is an incredible New York style cake! I love that the apple is made from marzipan and not fondant icing as I find taking a massive bite out of icing not as pleasant. Oh my goodness that New York cake is absolutely amazing! I love the details on it, such a talented baker! What a beautiful cake and you have given so much attention to detail. I love it. 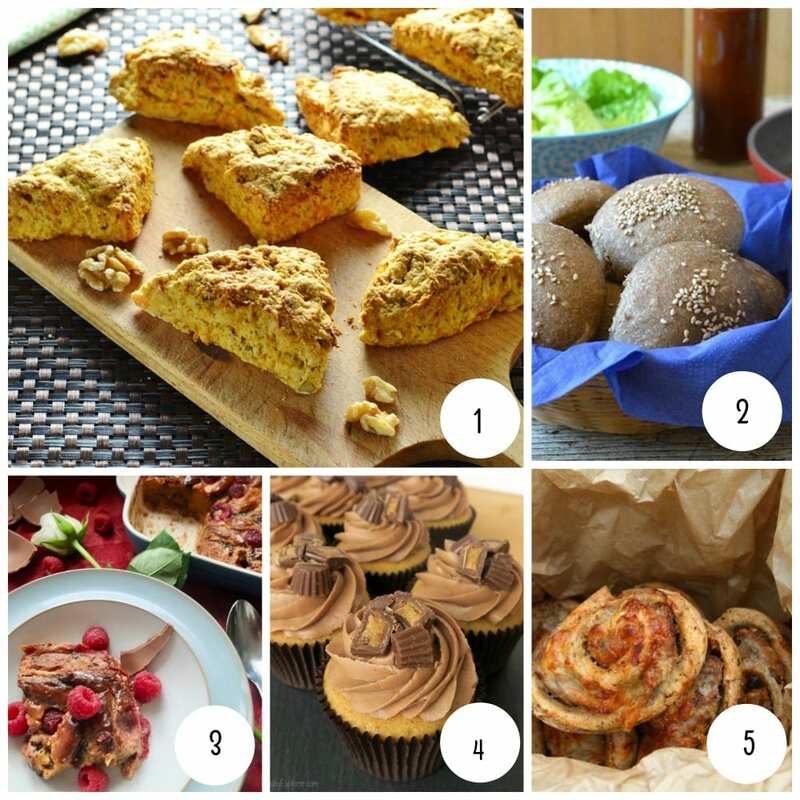 I need carrot and walnut scones in my life. Your cake is fantastic – very cleverly done. This is fab!! I really like the New York skyline and the marzipan apple is just so cute! This is nothing short of incredible! 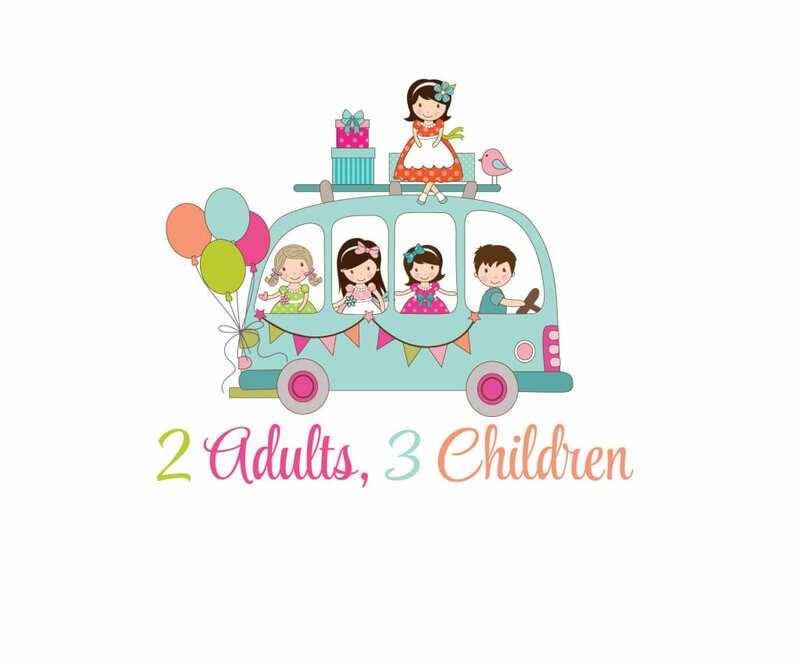 There’s no detail that has gone unnoticed .. from the little car to the marzipan apple. Do you ever get nervous about your masterpieces when you send them out into the world? Especially on such a long car ride? So nicely done! Wow your New York cake is absolutely incredible! I love all of the fab detail, especially the apple! What a very special cake for a birthday. I would be thrilled to receive something like that. I am just in awe of skills like these – what a stunning cake!!! That cake is absolutely a cake I would love to have. The details are so nice. Can’t wait to have a mouthful of taste. Literally drooling over it.